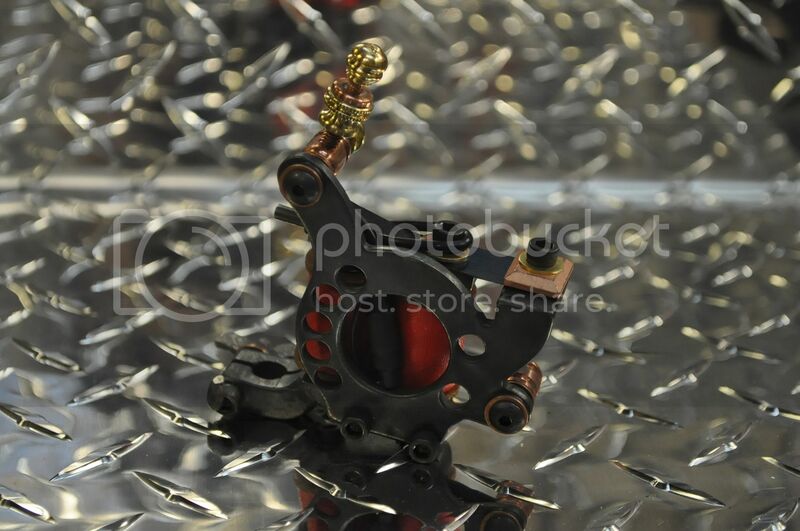 A good friend of mine happens to be a very talented tattoo artist, he also is a very talented machinist.... kind of an odd combo i know, but it works for him. 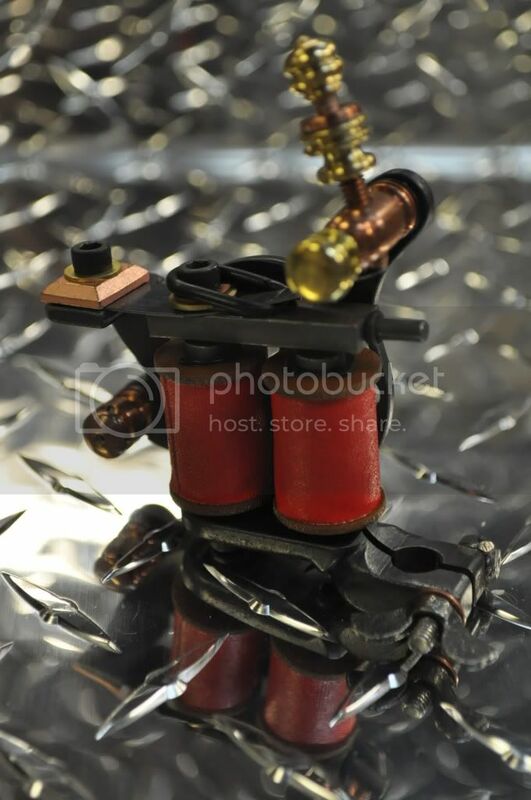 Anyways, we have decided to start producing hand made, and production tattoo machines. Bassicly, were going to sell different levels of machines as production lines, then sell hand made creations made from more unconventional materials, or with custom one-off touches for customers. The first one we threw together this week is not going to be one we offer for production or anything like that, this was a machine made to get all dimensioning together and solid, it just so happens that it runs like a dream so he will be using it now haha. Nice work! Did you guys machine all the brass & copper pieces? The brass ones yes, they were machined from stock here. 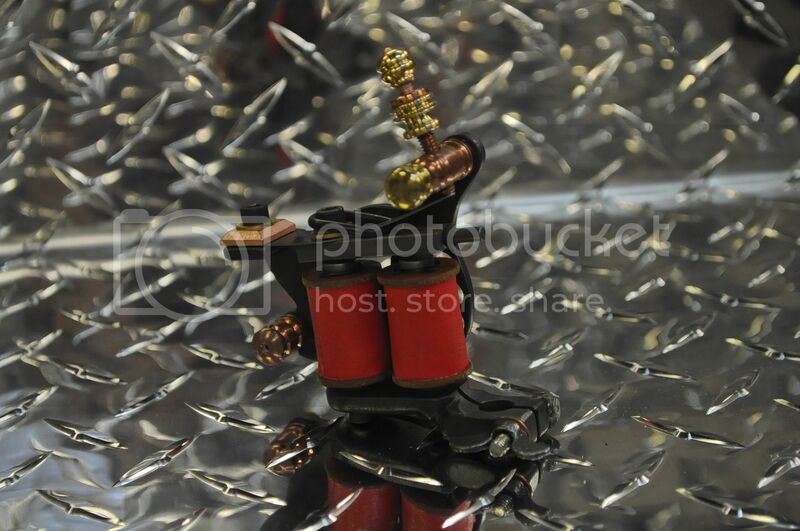 the copper ones came like that, but i think were gonna do an all brass setup next time. I drew up a few new designs that will be our production units, ill post them up soon. 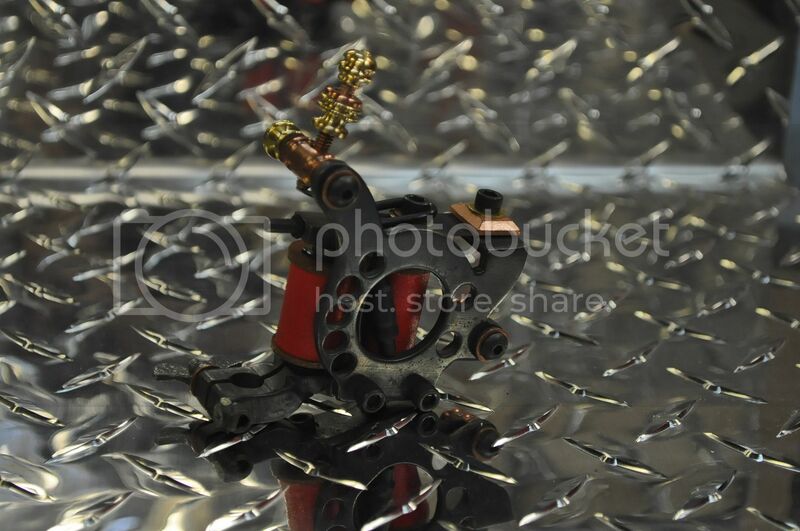 It's great that he can make tattoo machines. That's not an easy thing. It's appreciable. 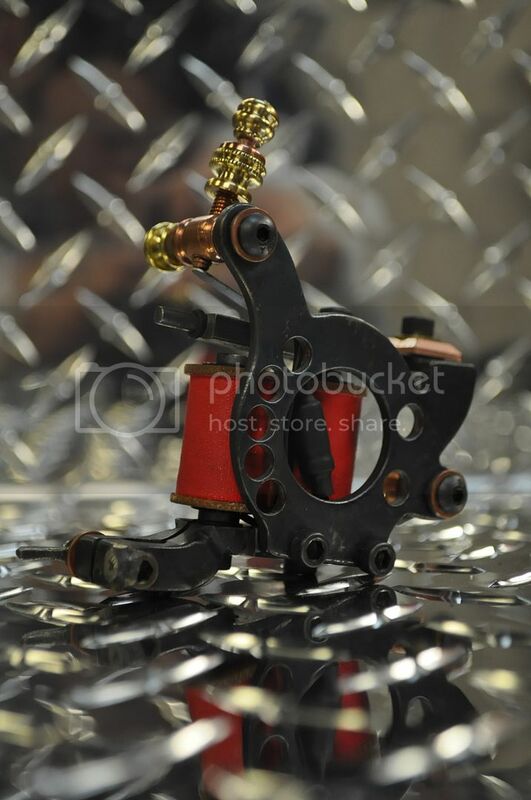 But hand made tattoo machines have less precision. 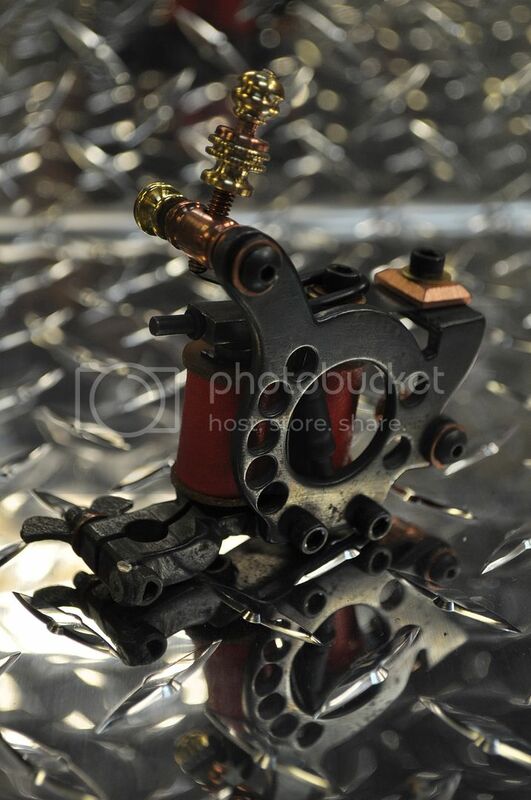 It's always better to buy a branded tattoo machine.